If you’re reading this post, you may be one of the 45 million Americans who suffer from chronic headaches. Headaches are one of the most frustrating pain conditions because the causes are so varied and can seem completely mysterious. In fact, over 150 different types of headache have been established by the International Classification of Headache Disorders. The cost of missed work and medical bills related to headaches is estimated to be about $50 billion per year in the U.S. If we can start managing and eliminating our headaches, we could save a lot of money, avoid taking medication, and prevent a great deal of pain and suffering. In this post I’ll explain how chronic muscle tension throughout the head, neck, and back can cause and contribute to tension headaches, and how you can relieve your headaches by releasing this muscle tension and reducing your stress. 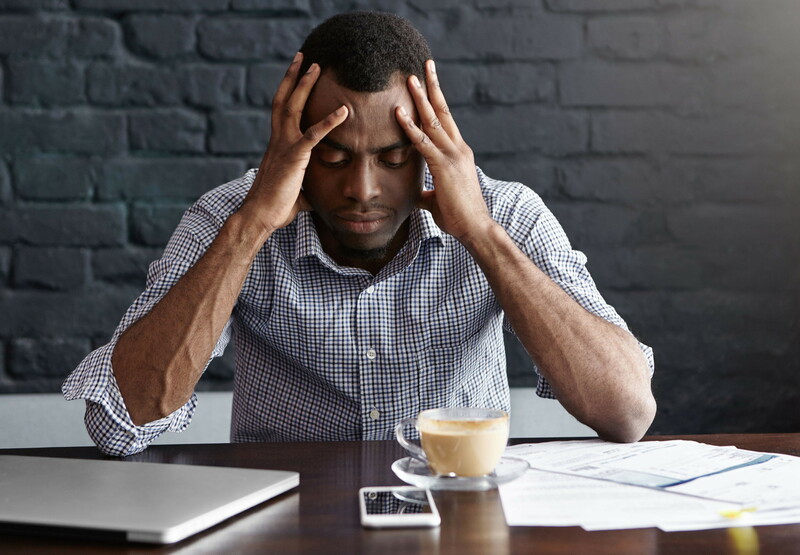 According to the National Headache Foundation, 78% of all headaches are classified as tension headaches, which can be brought on by chronic muscle tension as well as stress, anxiety, or injury. Tension headaches typically feel dull and aching, as if a band is tightening around your head. The second most common type of headache is migraine, which causes severe pain and often occurs along with vision changes or nausea. Migraine headaches can be hereditary; two genes have been identified that are present in about half of migraine sufferers. It’s believed that migraine headaches are brought on when the trigeminal nerve, the largest of the cranial nerves, releases irritating chemicals that cause blood vessels on the surface of the brain to swell. Migraine pain is often felt in the eyes or temples. 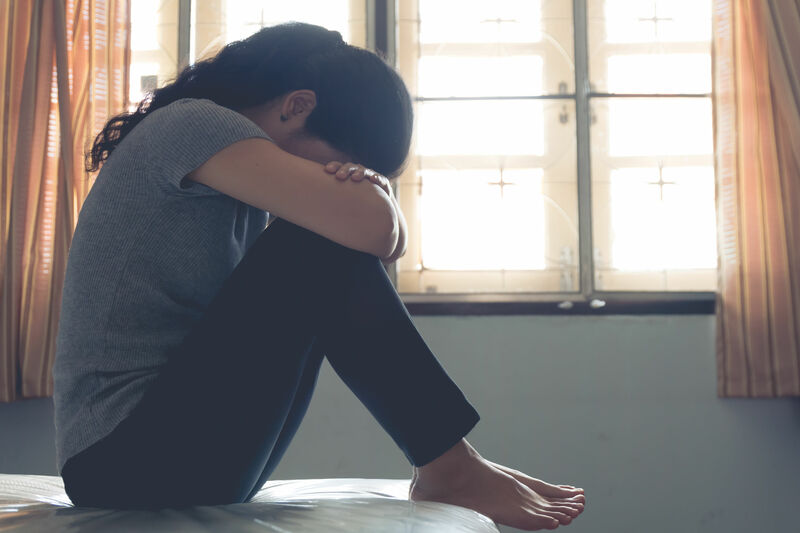 Migraine headaches can be triggered by many controllable factors like lack of sleep, certain foods, missing a meal, stress, caffeine withdrawal, alcohol, and medications. After tension and migraine, there’s a seemingly never-ending list of other causes of headaches: sinus pressure, viral infection, premenstrual symptoms, stroke, high blood pressure, dehydration, caffeine withdrawal, alcohol consumption, allergies, celiac disease, heavy metal poisoning, carbon monoxide poisoning, and brain conditions such as infection, tumor, and aneurysm. In addition, medication-overuse or “rebound” headaches can occur when people take pain medication more than three times per week. Yes, that’s right—the exact medication that’s supposed to relieve your headaches can actually cause them. There are no pain receptors in brain tissue itself, so headache pain is felt in areas surrounding the brain: the head and neck muscles, blood vessels, eyes, ears, sinuses, and the membrane lining the outer surface of the skull. And as you’ll learn in the next section, this is why tight muscles can cause tension headaches: by creating a great deal of pressure in the head. 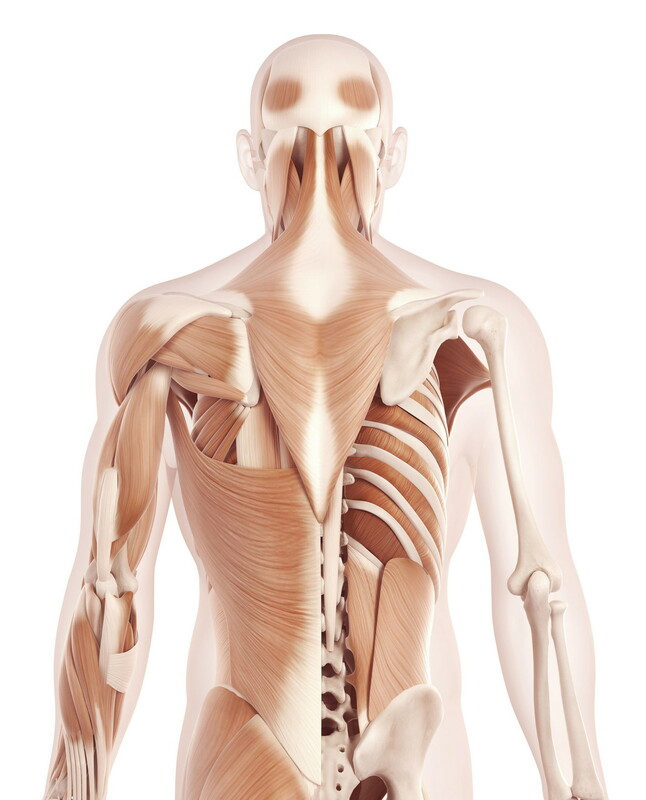 Our muscles, tendons, ligaments, and bones create a complicated pulley system throughout our body. No part of our body moves independently; movement or tension in one part of the body always affects other parts of the body. So, let’s start at the top. There’s a muscle called the occipitofrontalis that starts at the eyebrows, covers the top of the skull, and attaches at the occipital bone (the rear, lower part of the skull). This muscle raises the eyebrows and wrinkles the forehead. When the occipitofrontalis is tight, a great deal of pressure is created in the head. But tension within this muscle isn’t the only thing that makes it tight. Muscles in the neck that attach to the occipital bone—the upper trapezius, sternocleidomastoid, suboccipitals, semispinalis capitis, and splenius capitis—can pull downward, creating tension in the occipitofrontalis and pressure in the head. 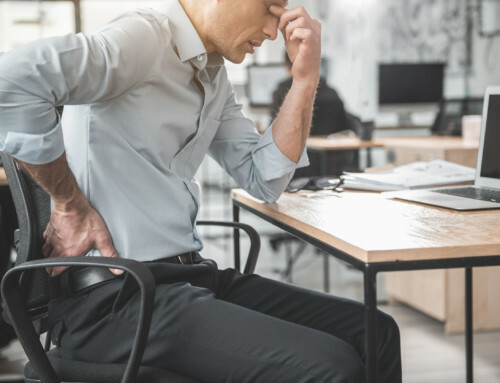 In fact, tension in any of the muscles of the neck and back, like the erector spinae group, transversospinalis group, middle and lower trapezius, and even the quadratus lumborum will create a downward pull that can contribute to your tension headache. 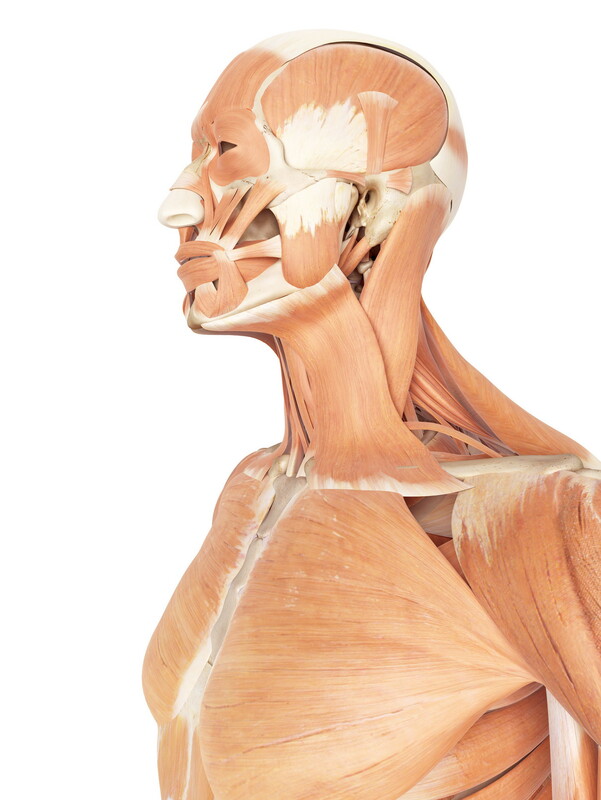 We’ve been talking about the back of the body so far, but now let’s talk about how muscles in your face and front of your neck can create the same tension, pressure, and downward pull. There are 43 muscles in our face that work to squeeze our eyes shut, smile and frown, and create an infinite number of subtle facial expressions. Our emotions are immediately and constantly expressed through our facial muscles; it takes conscious effort to keep them relaxed and our face emotionless. Over time, as a result of many contractions, our facial muscles build up chronic tension. This tightness can cause wrinkles, imbalances in our face, and of course, the pressure of a tension headache. 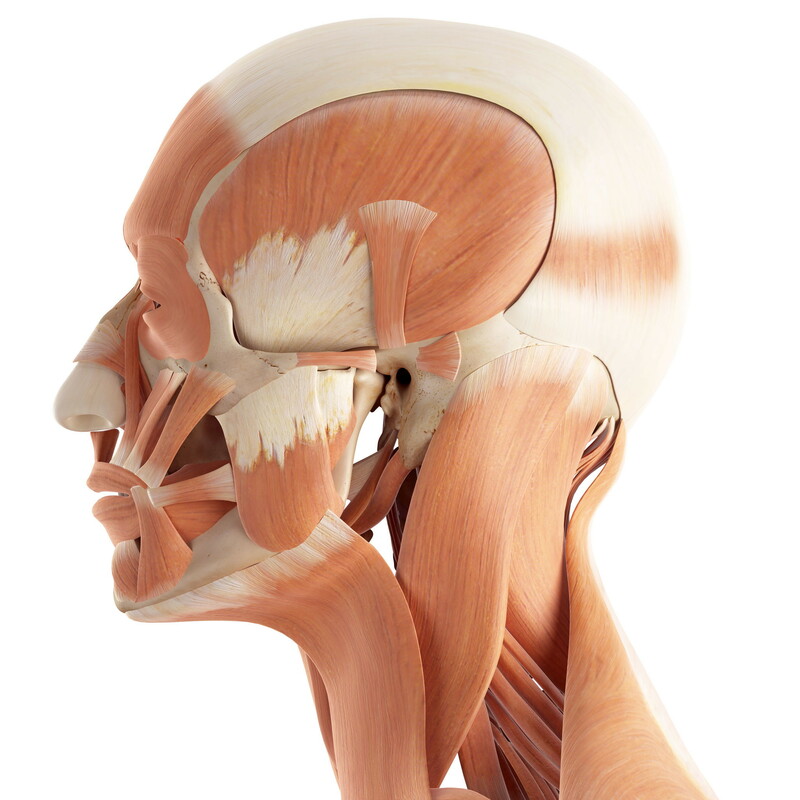 Muscles that move the jaw—the temporalis, the masseter, and the pterygoids—can become very tight as a result of stress, and create tension in the network of muscles and connective tissue that covers the skull. Moving downward again, muscles in the neck including the sternocleidomastoid and scalenes flex the head and neck forward. If you spend a lot of time at a computer, looking down at your phone, or driving, these muscles are likely tight and could be contributing to the pressure of your tension headache. Why do we develop chronic muscle tension? To keep it simple, there are two main reasons why we build up chronic muscle tension. One is our repetitive daily activities, like our posture as we sit at our desk and the type of exercise that we do. Over time, we tend to build up residual muscle tension in the muscles that we use to do these repetitive postures or movements. This residual muscle tension is a negative effect of developing muscle memory, which you can read more about in this post. The other main reason we build up chronic muscle tension is stress. We all react to stress in different ways, but one unavoidable physiological response to stress is increased muscle tension. 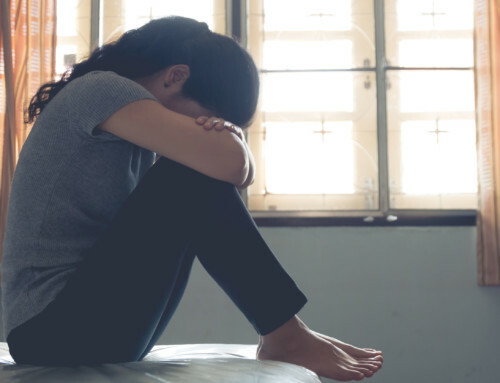 If you experience regular headaches and suspect stress to be part of the reason why, please read The Life-Changing Link Between Anxiety and Muscle Tension. Clinical Somatics is a groundbreaking method of neuromuscular education that releases chronic muscle tension using the technique of pandiculation. Pandiculation resets the resting level of muscle tension through gentle movements that send accurate biofeedback to the nervous system. 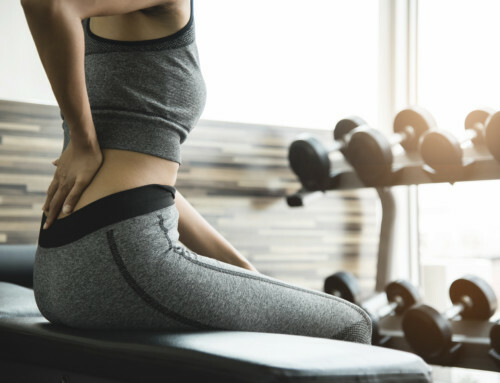 Since this process retrains the nervous system and actually changes the messages that your brain is sending to your muscles to stay tight, the results last much longer than when you temporarily release your muscles with massage or stretching. Clinical Somatics exercises are taught in hands-on lessons and group classes, and you can also learn them on your own at home. If you suffer from chronic headaches, it will help both you and your doctor immensely if you begin to keep a headache journal. Spend a few weeks writing down everything you eat and drink, your sleep patterns, exercise habits, and sources of stress. Record everything about the headaches you experience: when they come on, how long they last, and what they feel like. Notice if your muscles tend to get more tense when you feel stressed out. Also, notice where in your body you tend to get tight, and notice if an increase in your muscle tension tends to coincide with your headaches. Notice if relaxing activities, like soaking in a hot tub or going on vacation, reduce your headache symptoms. If they do, muscular tension and stress are probably contributing to your headaches. You’ll likely have to go through a process of experimentation and elimination to discover which factor or factors are causing your headaches. While it might take some time, it’s worth it. Just because headaches are common doesn’t mean you have to live with them. If you want to relieve your tension headaches with Clinical Somatics exercises, the best place to start is with the Level One Course. If you want to learn more about how our stress response affects our muscle tension, posture, and movement, read Sarah’s book The Pain Relief Secret.